Looking for the most recent Lecture Series? This year, our series explores how we can all integrate ecology into our daily lives. This includes what we eat and where it comes from, water use, land use and how we impact the landscape that we share with wildlife. All proceeds support POST’s work to protect open space, farms and park land in and around Silicon Valley. 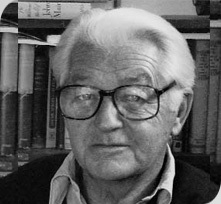 Begun by POST in 1993, the Wallace Stegner Lectures pay tribute to Wallace Stegner (1909-1993), a Pulitzer Prize-winning novelist, environmental leader and longtime Peninsula resident. Stegner was an ardent conservationist and Stanford University English Professor who worked to preserve the Peninsula land he captured in his writing. A longtime friend of POST, Stegner helped launch the lectures and was slated to host the first lecture series in 1993. Because he died before the series began, the lectures were named in his honor. 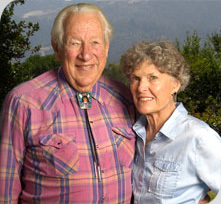 The late Ambassador Laurence W. “Bill” Lane, Jr., and his wife, Jean, sponsored the Wallace Stegner Lectures from their inception in 1993. POST applauds Jean, whose unwavering support, energy and dedication enable us to bring you the lecture series again this year in honor of Bill’s memory.